The following article is intended for ADP Workforce Now clients who need to export MakeShift timesheets and import into ADP Workforce Now Payroll. Only the location or company administrator has access to this feature. Click on the location you would like to export a timesheet for. Before closing the pay period, confirm that all departments have approved their timesheets. Please read our article on Approving Timesheets to learn more. The checkmark will signify that the department has approved their timesheet. If a department has not approved their timesheet, it will automatically be approved when you close the pay period. Click Close Pay Period. A notification will appear to confirm you would like to close the pay period. Click OK when you are ready. The pay period will now be processed. This can take anywhere from a few minutes to 15 minutes. Once this is complete, you will see a green notification. A notification will appear, allowing you to choose what program to export your timesheet to. Select ADP Paydata (Beta) and click Export. There are some additional options if you use any of the available payroll programs. This will automatically download a .CSV file with your payroll content. *Note: Do not save the exported file in Excel as this will corrupt the format of this flat file. It is best to import the file into ADP directly from your Downloads folder without saving a new copy to your computer. To import into ADP, log into Workforce Now at workforcenow.adp.com. You will need to have Practitioner or Limited Practitioner rights. You will need to begin by starting a new payroll cycle. If you have already done so, please skip these steps. 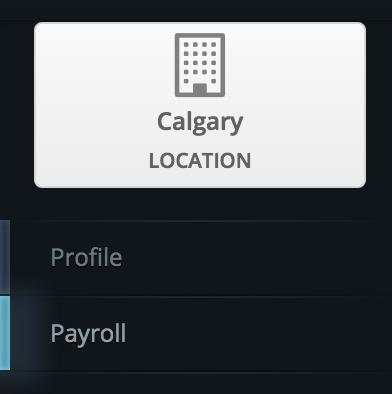 Once you have started a new payroll cycle, or if you would like to import your data into an existing payroll cycle, select Process from the top navigation bar. The following options will vary depending on your role within ADP Workforce Now. Select Utilities and choose Import. On your left pane, select Paydata. Once you are on the Paydata Import Files page, select Browse for Files. Select your exported payroll file from MakeShift by clicking Add Files. This is typically found in your Downloads folder on your computer. Click Upload when you are ready. Once you have added your payroll file from MakeShift to your import, select the appropriate file(s) using the check box and click Done. ADP Workforce Now will bring you back to your unprocessed payroll files. Select the appropriate file(s) using the check box and click Other Actions. Click Start to begin processing payroll. Once you have completed processing your payroll file, you can return to your payroll dashboard to complete your standard payroll business practices.